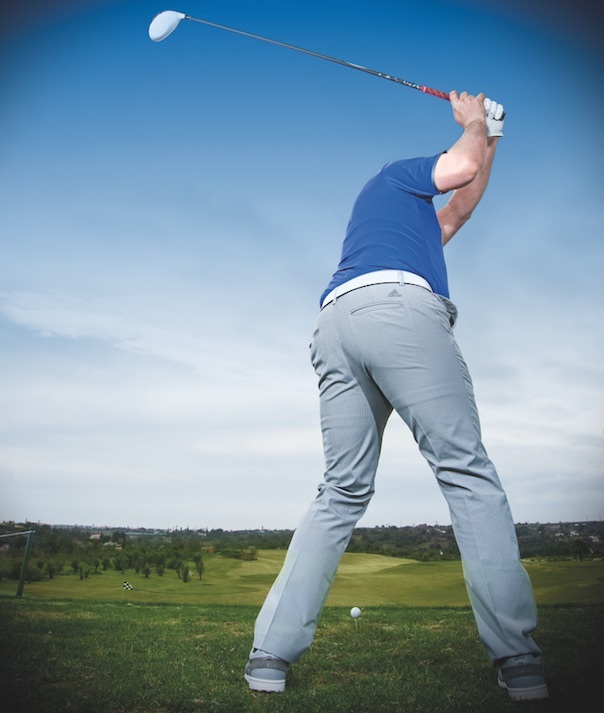 The elasticity – or what Tiger Woods calls “explosiveness” – comes from having a powerful, solid core. 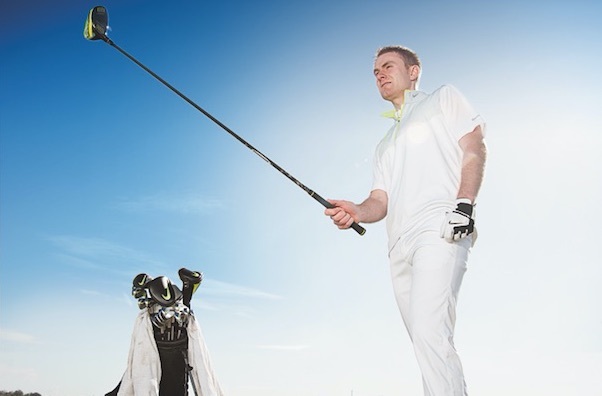 That is going to give you a great opportunity to centre your strike, particularly for amateurs who feel that they somehow have to wind up to hit a longer drive. 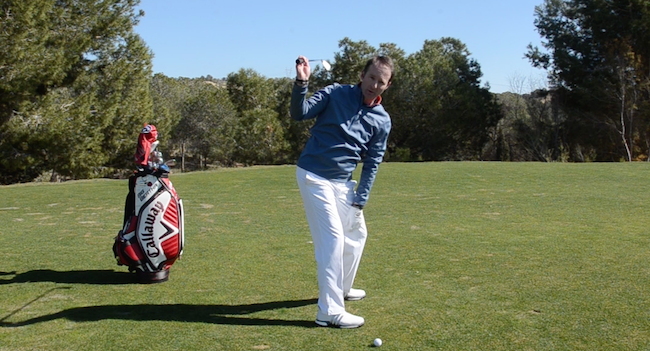 Good wedge play is all about understanding loft. 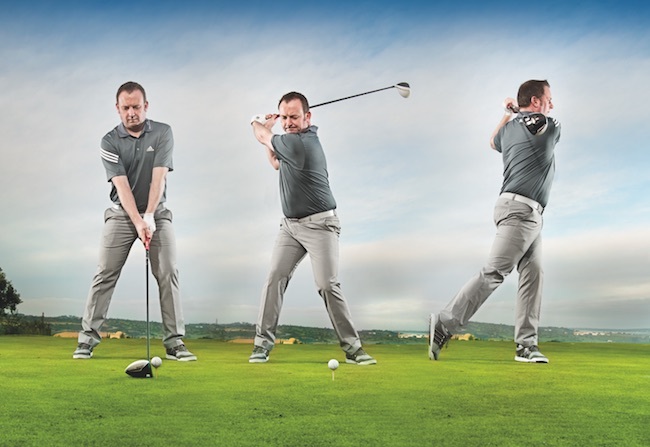 The more you understand that your wedge – around the green – will naturally pop the ball into the air, the better. At no stage should you help the ball up into the air. 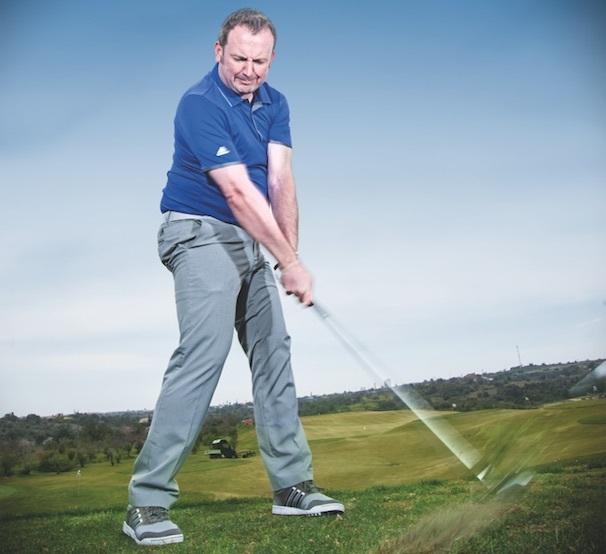 You might have a 52º, 56º, or a 58º and you’re trying to pop the ball up – but if you set yourself up with your weight on the front foot and you’ve got a slight descending blow and you accelerate through it, the ball will pop up naturally. 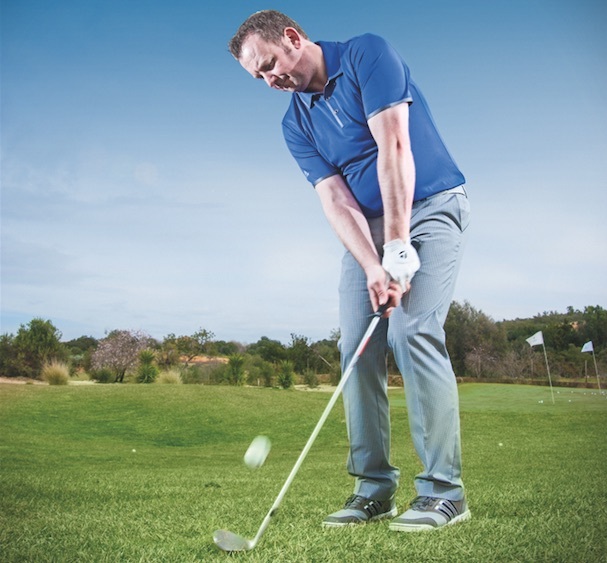 The more you trust your set-up and the club – and as long as you hit down and through – the ball will pop up and land softly. What you’re trying to do is make sure is that your weight stays on your left side. This applies on anything from 50 to 70 yards, depending on the individual. Originally published on bunkered on September 1, 2016.